It’s that time of year again – spectacular foliage against brilliant blue skies, falling leaves, mornings as crisp as fresh apple cider. It’s also time for human resources (HR) professionals to review employee training triumphs and missteps from this past year and begin looking to how learning and development trends are going to affect their organizational needs going into 2019. As HR technological advances continue to accelerate, learning and technology are now inherently dependent on one another. To stay competitive, organizations are going to need to use technical innovations to improve training programs and delivery methodologies, focusing on personalized training that uses the latest technology to encourage employee engagement and promote professional development. Employee training needs to reflect the continually evolving way we learn and interact in an increasingly technological world. More than ever before, you need to jump on the learning and development trends of tomorrow today to stay ahead of the learning curve. A 2018 study indicates that the #1 challenge that HR and business professionals face in workplace learning is getting employees to make more time for training. Employees simply don’t have the extra time to take away from their primary job functions to receive training. Consequently, having training on-demand and available on employees’ own devices can eliminate significant time constrictions for overloaded employees, allowing them to learn on their schedules. Furthermore, m-learning is the perfect solution to address an increasingly remote workforce. Experts estimate that about 50 percent of America’s labor force will be contract, temp, or freelance workers by 2020. If your organization dismisses the idea of gamification as turning serious training programs into video games, then you are not alone. Currently, there appears to be a general misconception about the principles behind incorporating gamification into learning and development programs. However, gamification is simply building a progressive reward system into your existing training construct. Leaderboards, points, and badges incentivize online learning and development especially for those who have neither the drive or passion for the subject matter. In the past, learning and development professionals have focused on providing “one size fits all” content. However, this type of content fails to engage learners as individuals which means that the training falls flat and suffers from poor retention rates. Going into 2019, HR professionals need to start focusing on the learner to provide customized training programs. This includes experience, performance, technological competency, and work environment. Employees today are used to YouTube and Netflix algorithms that provide content based on their consumer behavior and viewing patterns, and if you want to engage them on their level, then you need to start doing the same. You can easily implement this by providing training materials on platforms like YouTube that already use these algorithms or build similar ones into your current digital training materials to customize learner experiences based on levels of engagement. There’s no question that it’s a candidate’s market right now. Top notch learning and development is a low-cost way to stand out from the pack when it comes to recruiting. In fact, learning and development is a top priority for today’s job seekers. Also, it will help you keep the talent that you already do have. 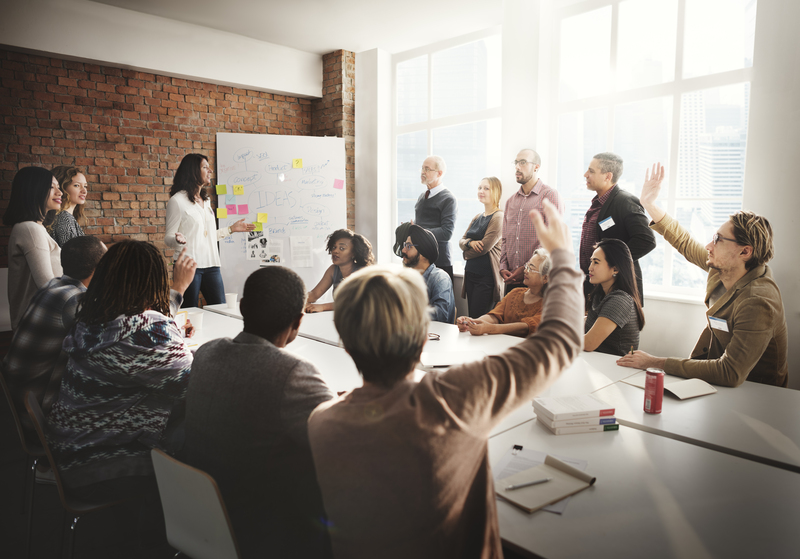 Employees who feel like they’re not getting the professional development they need to move forward in their career are 12 times more likely to leave a company as those who are receiving ongoing employee training. So, make sure you are leveraging your training initiatives as an employee benefit and add it to your existing package alongside retirement and health options. In a 2016 Deloitte survey, 90 percent of respondents said soft skills were a “critical priority.” This skill set includes emotional intelligence, negotiation, communication and collaboration. Soft skills are also essential for employee retention, quality leadership and meaningful company culture. Understandably, there is widespread concern that the soft skills gap is becoming ever more prevalent as the tech-savvy but soft-skill illiterate Generation Z employees enter the workforce. However, learning and development can be a first line of defense against soft skill degradation with collaborative soft skill training that encourages employees to refine social skills. If your organization is to remain healthy for the long-haul, management and HR need to identify employees who may take on leadership roles in the future and start providing specialized leadership, problem-solving and communication training and development. To further aid future leader and management development, assign mentors when new employees first start to help them build their professional networks and gain valuable insight and skills. This way mentors can also identify leaders early on so that you can make sure that your teams are continuing to evolve. In 2019, learning and development trends are going to be about ongoing support, optimizing technological applications, and customization, while incentivizing training and providing employees with necessary social interactions and professional development to stay actively engaged. At work, we have been trying to determine how to get employees to focus more effort on learning and development. I haven’t thought about turning it into a game before this. I think that gamification might be helpful, especially if there is an incentive for being at the top of the leaderboard. I wonder how employees will respond of efforts invested in learning and development is part of their evaluation process. I worked for an organization that would evaluate how you’ve been growing personally in your ability to do your work. They would even pay and promote using that as a criteria.